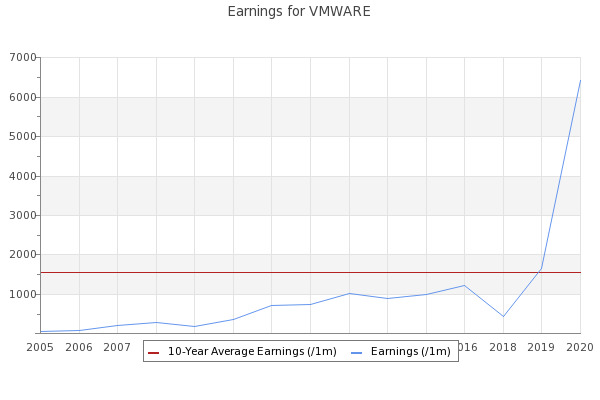 VMware, Inc. (VMW) Stock: How Does it Score? VMware, Inc. (VMW) stock is up 42.78% over the last 12 months, and the average rating from Wall Street analysts is a Moderate Buy. Edgestream Partners Lp decreased its stake in Vmware Inc (VMW) by 21.81% based on its latest 2018Q4 regulatory filing with the SEC. To review the VMW previous performance, look at its past history, ... Analysts' mean recommendation for VMware, Inc. (VMW) stands at 2.30.